Style: Single Story "Ranch Style"
Garage: Double "Plenty of room for parking"
Peaceful Ranch Style Home in the heart of Rosarito, 3 bedroom, 2 bathroom, single level home. This custom built home is only 5 blocks from the Rosarito Beach Hotel. This home boasts a 3 bedroom, 2 bathroom spacious home with living area over 2,200 sq ft or 204 m 2. This spectacular home sits on 2708 m 2 which is over 29,000 sq ft of living space that will fulfill any event you crave! Relax on your spacious front patio designed for taking in beautiful views. Your entryway features a roomy living area equipped with a cozy wood burning fireplace ready to satisfy your needs. On to the dining and kitchen area which features a huge open floor plan is perfect for comfortably dining and has an entertaining space with friends and family. The hallway leads to all 3 bedrooms and 2 bathrooms that are conveniently tucked away on the backside of this beautiful home. Furnished with a spacious detached garage that serves as a “casita” guest house. Plenty of space to build extra storage area or anything your heart desires! This Spanish home design is truly a peaceful and well thought out hard to find treasure. This home is located in the historic District of Rosarito. Its proximity to the U.S. makes commuting to border crossings an effortless 20-minute drive. 5 minutes away to nearby beaches, marketplaces such as Wal-mart and Home Depot and local fine dining restaurants for your everyday needs. Just 30 minutes away from wine country, Valle de Guadalupe, your future home is right in the center of so much to do. This home is held in an “Escritura” and is free and clear of all debts and liens. It is ready to transfer over to a new owner in Fee simple Title or to foreigners through a Fideicomiso “Bank Trust”. Owner financing is not available on this home. This home is available to view by appointment. This home is priced to sell, so only serious inquiries are considered. For whatever your needs may be, full time, second home or investment this picturesque Spanish style home suits all needs being located in the center of Rosarito close to the US border and having a birds-eye view to many beaches. I know you will love this home because it is a great investment for your money. With this prime piece of property, your search is over. Enjoy breathtaking views of the hills. Minutes away from shopping, restaurants and services. Plenty of room for gardening, add-ons and a special place for your pets. Bring your toys because this place has room for RVS, ATVS, anything you can think of. 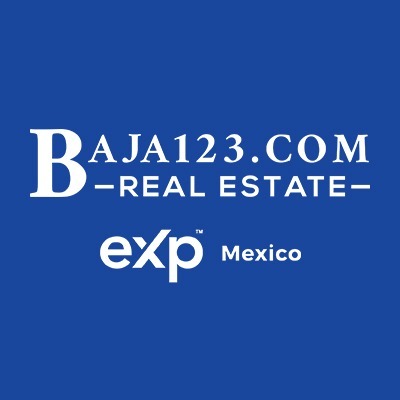 All within quick access to the freeway, 20 minutes to the border, in a safe and desirable area.